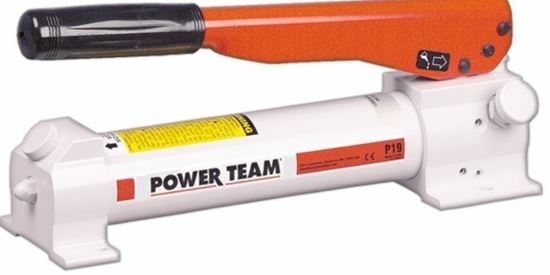 PUMP AUTOMATICALLY SHIFTS INTO THE HIGH PRESSURE LIFT STAGE UPON CONTACT WITH THE LOAD. Two-speed reduces handle strokes so you work faster and easier. Convenient fill port allows pumps to be filled in a horizontal or vertical position. 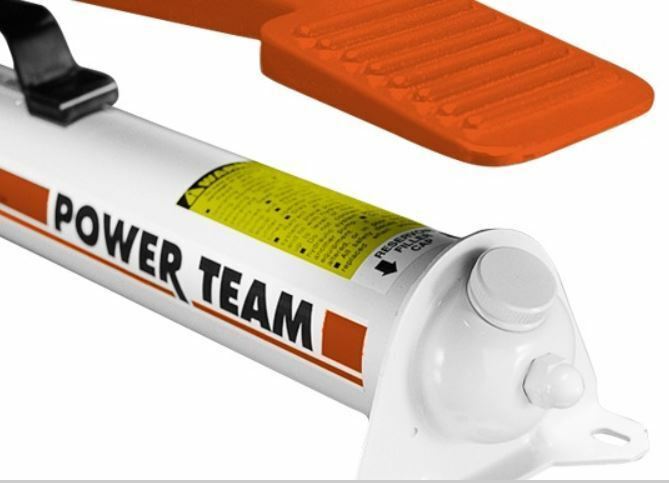 Power Team hand pumps, with the angled fill port, have a built in "relief valve" protection system. This system is designed to protect over-pressurization of the reservoir from sudden back pressure. This system also works as a seal to prevent oil leaks.